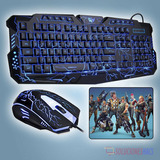 Vendo Kit Gamer Nuevo En Caja. 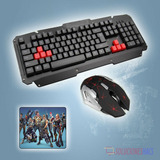 Kit Gamer Hyperx / Teclado - Mouse - Audifono Y Pad Mouse !! Kit Gamer N°01 / Teclado - Mouse - Audifono Y Pad Mouse !! Kit Gamer N°05 / Teclado - Mouse - Audifono Y Pad Mouse ! !